Video games are a way of escaping reality by becoming a hero or just killing time, these games have become a part of people's day to day lives. In accordance with this, games have evolved and developed more and more, since its inception. Certain games which were popular back in the 90’s are now just something children laugh at, with its limited graphics and funky animations, leaving the old school games to be a thing of the past. One such game that has been introduced but since has not gotten that much traction in a global scale is Call of duty 4:Modern Warfare. Call of Duty 4: Modern Warfare is a multi platform computer game in the genre of a first-person shooter developed by the American company Infinity Ward and published by Activision; the game itself was released on November 12 2007 on PC. Upon the release of Call of Duty 4 in 2007, it was introduced competitively worldwide. Many professional teams, such as Fnatic and Evil Geniuses, took part in these various tournaments and the game itself saw a lot of fame. The first time Call of Duty 4 was introduced as an eSport in Sri Lanka was during the Sri Lankan Cyber Games back in 2008, which garnered a lot of attention and saw a rise in popularity ever since its introduction to the local scene. “COD4, is a game that some would say is what defines Lankan gaming. A game which paved the way to all other games in the country. 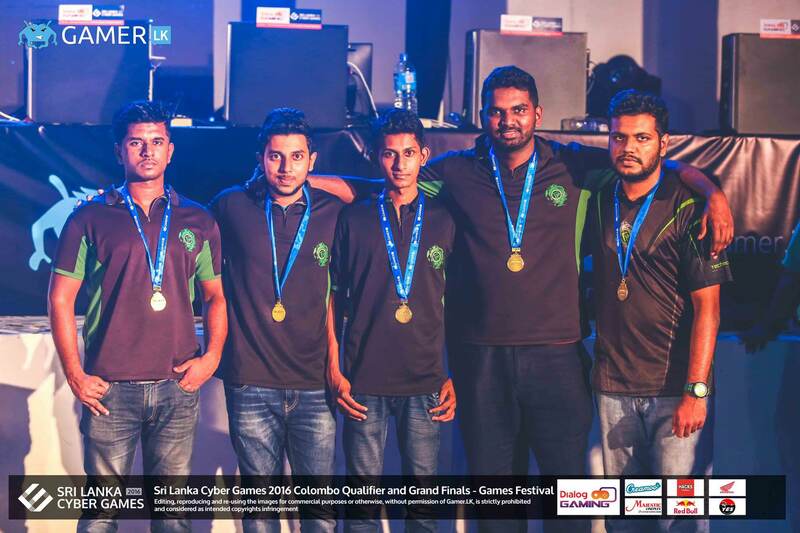 Call of duty is the pinnacle of esports in Sri Lanka right now, and has being for a very long time, from it's extremely intense games to rivalries that has gone beyond gaming. Call of duty has lasted so long and will last even longer because of how competitive it is, and how passionate every cod player is towards their game.” - Javeen Tharka, prominent player in the League of Legends community. As a game that was introduced such a long time ago with its limited graphics and small variations in weapons with limited skins, Call of Duty 4 is no longer being played in the international scene. Games that have introduced first person and third person perspective, along with purchasable weapon skins and additional items that you can use to customize your in game loadout, have become more popular with players in a global scale. I have played all the fps games and moba games including lol and DotA and I'm fairly good at all of them and one thing that keeps me pulling back towards cod despite me wanting to get better at other games Is how much cod makes you feel utterly alive. Looking at Call of Duty 4, it has many positive points, such as its wide availability and the fact that you do not require a legal copy of the game to access online servers or play in a local area network. On top of this, the fact that the game requires minimal graphics, allows almost any personal computer to run the game; catering to a large population of gamers in Sri Lanka. As opposed to games like Overwatch and Counter Strike that have to be purchased online in order to play the game, while requiring mid to high end graphics; in turn not allowing the younger players to be able to take part or even get the game, as Sri Lankan parents don't want to invest money into purchasing a virtual game that will not contribute to their children's future. Third parties have created and added modifications or ‘mods’ to the game called ‘Promod’ (not a name of a Sri Lankan child), that levels the playing field by getting rid of overpowered features and weapons found in the normal game, such as perks like last stand, which allows the player to shoot even after he is dead for a few seconds. The International scene and Sri lankan tournaments have depended on this mod to create an even and competitive environment for players, making it a very high skill based game; the current version being played right now in Sri Lanka is “pml220”,. “I think it’s just a really good game , and most of us didn’t have good enough personal computers with the performance to play other games when we started off. Somehow it became really huge in the gaming community and its one of the more easier games to grasp for a beginner.” - Sameera ‘SvTue’ Vidushanka, former captain for nA Team Spite. Taking a small visit to the gaming cafes available in the country, will show you that majority of these cafes will definitely have Call of Duty 4 installed, as it’s extremely popular with the locals and is fast paced; it also doesn’t punish the player for leaving games like Dota 2, which requires at least an hour to finish a game and puts the player into a low priority bracket when leaving early. A huge positive in Call of Duty 4 is the fact that it has a low skill floor, which allows newer players to enjoy and understand the game, while experiencing it fully with a wide variety of custom maps as well as game modifications such as the “Zombie Mod”, which allows players to have fun with their friends. 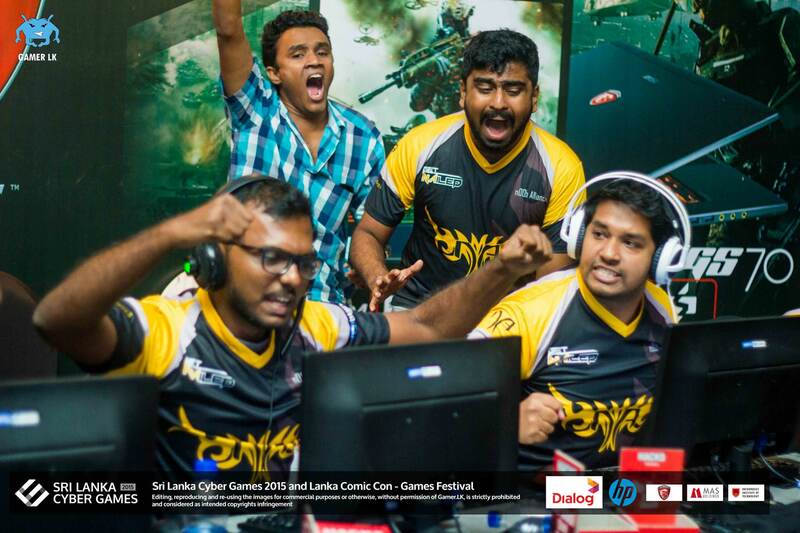 The Sri Lankan Call of Duty 4 tournaments has seen a huge growth in the number of competitive players, teams and clans. 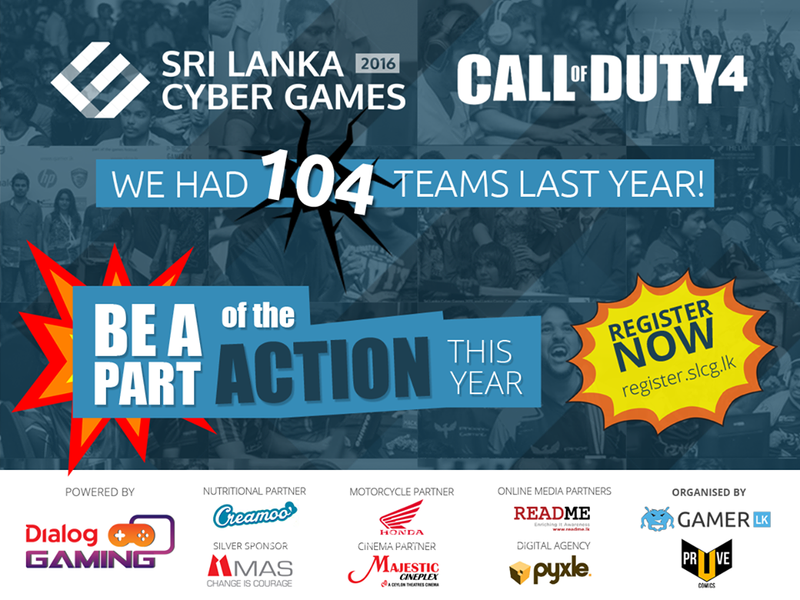 The most recent Sri Lanka Cyber Games tournament hosted a whopping 112 COD4 teams which is an extremely high number of participants 10 years after the release of the game itself; in comparison, DOTA 2 had the next highest number, with 56 teams, half the number of Call of Duty 4 teams. SLCG Call of Duty 4 Matches were played out till 10 O'clock in the night and still saw a massive fanbase cheering the players on and supporting them, showing you just how popular the game is in Sri Lanka. 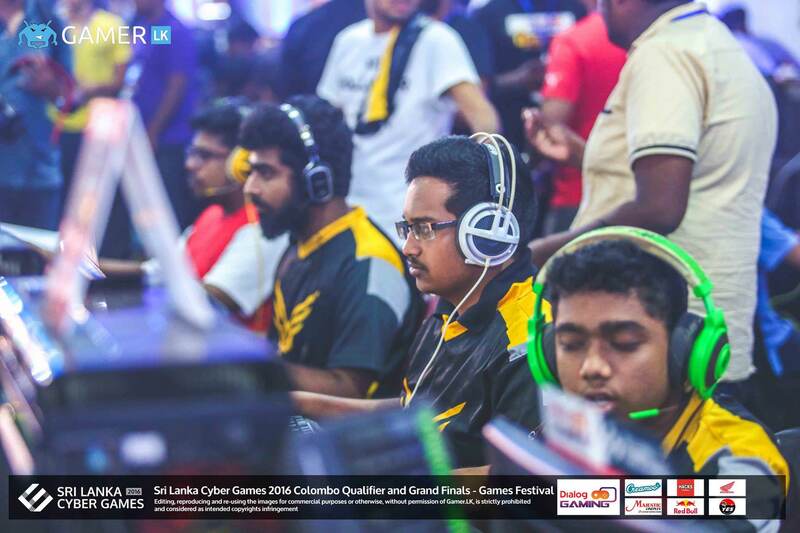 One of the major aspects of why Call of Duty 4 is so loved in Sri lanka is because of the support shown by the community itself, the blossoming rivalries as well as the intense games. As the glue that holds any game together, the community has shown tremendous support in and out of tournaments to ensure that this game receives the love that it deserves. We managed to get a few answers from some of the well-known people in the community itself, shedding some light as to why Call of Duty 4 is considered the best game in Sri Lanka and the game that paved the way for other great games as well. Call of Duty 4 has been a game that has created many memorable moments over the years for Sri Lankan fans and holds a close place in their heart, this is reflected by the majority of players that still find themselves running to their computer or the closest gaming café to play this game and create even more memorable moments, be it with friends or teammates. Let us know what you think in the forum below! Why there are no any Halo tournaments? Some talk about COD 4 and Halo together. Ruining Sri Lankan eSports prospects since 2007. GG. Not only do you guys keep ruining talent, you're proud of it as well. It's the blind leading the blind. Shame, really. On the contrary. We use COD4 as a gateway to eSports and it has worked well to get casual players into the competitive scene - players who otherwise wouldn't spend ~100k on a rig to support other games. The growth of numbers overall are proof that it works. Numbers not only in COD4, but other games as well. Our strategy is based on actual stats. With almost half of all team participants coming from COD4, we have a responsibility to support this community, while introducing new games to the scene. We definitely are taking steps to push players to other titles - e.g GLK has reduced the number of ranked COD4 tournaments and have worked with SLeSA to rank new FPS titles. It's very easy to throw around statements like "ruining eSports" while watching the international scene and trying to copy it 1 to 1 with its titles and spending, but the reality is that growth strategies have to be catered specifically to the situation the country is in. That's what we are doing. Let people play COD all they want. Use it in gateway tournaments all you want. I agree that it's a good title to bring people in. Just remove it from SLCG. A good analogy would be softball cricket. If you want to improve cricket in a region, get kids to play softball cricket, host tournaments, find talent. BUT, if you start a national level softball league and so that these kids have a place to play, wouldn't you be running their talent by not bringing them onto the right platform? I'm sure you can show the same numbers and use it as an excuse, but end of the day, it doesn't serve the actual purpose.